So life is busy…like wacky busy these days! With the kids in school one would think that Brad and I could get our acts together and find time to slow down but life doesn’t work like that. One of the things that’s suffering is our morning routine. We get the kids off to school and then seem to be racing into our day, skipping breakfast. 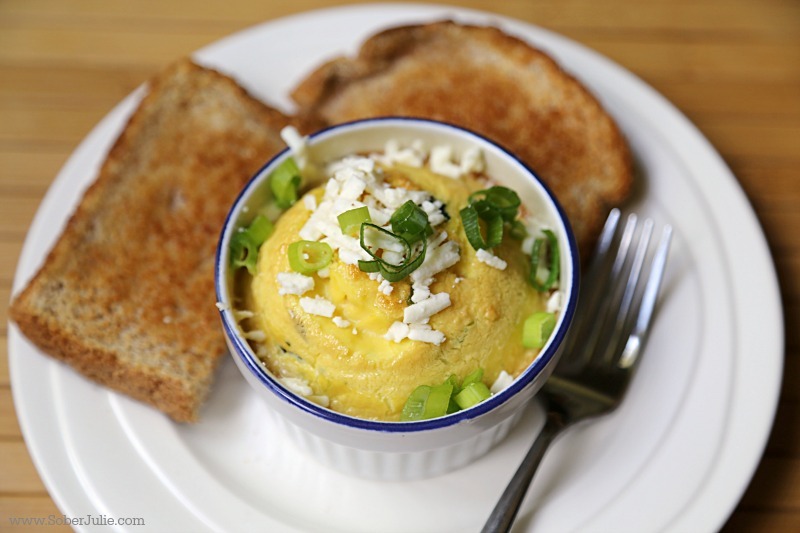 My friends at Burnbrae Farms challenged me to eat breakfast by using their super easy Egg Creations. The slogan for the product says it all; Real Eggs. Real Quick. 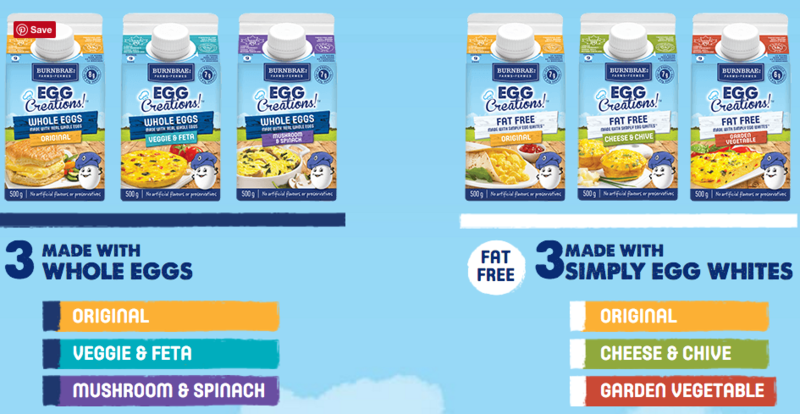 There are 6 flavour choices, each of which is made with REAL eggs. That’s important to me! I went ahead and bought myself 3 different flavours of the Egg Creations and so far my favourite is the Mushroom and Spinach. I’ve actually been eating breakfast regularly for a week now! I’m jamming in my protein first thing in the morning and my energy levels seem to be better for it. With Egg Creations, Brad and I can make brekkie in 2 mins. We just shake, pour into a ramekin and pop into the microwave for 2 minutes. I like to top mine with cheese and green onions but Brad prefers his as is. The key with this is to shake it well, the fresh ingredients are in there so move them around so you get them. It just can’t get more simple than this and it’s so good for our bodies. If you’re like us and haven’t been eating breakfast because it feels like too much work…check out Egg Creations from Burnbrae Farms and see if you can start a new routine like we have. Check out the Egg Creations recipes for inspiration, and make sure to follow Burnbrae Farms on Facebook, Twitter: @BurnbraeFarms, Instagram: @BurnbraeFarms, Pinterest:BurnbraeFarms and YouTube: BurnbraeFarms. I love how easy this looks. I love eggs but most the time I don’t have the time to make them in the morning. I’ll have to try these out and see how good they taste. This looks delicious! I’m going to make this for a post-run snack! I’ve been told about this already whipped eggs before! They look so quick and quick is what I need with 5 kids. I have always been accustomed to breakfast (growing up, we always had a full plate in the morning). 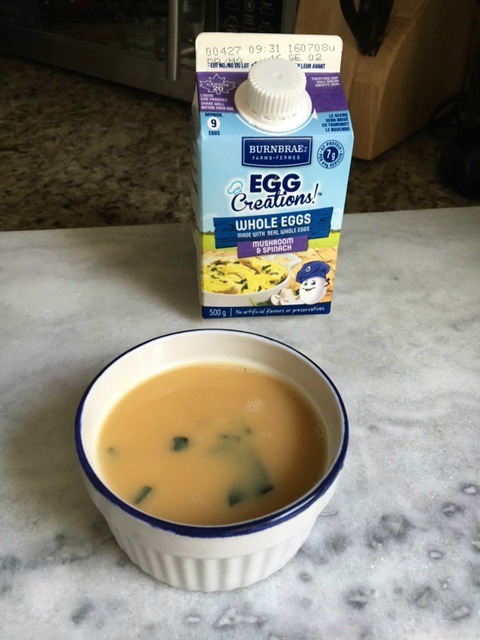 My husband always skips it – should purchase Egg Creations to get him to eat when he’s on the go! That looks really good. Looks easy to make for breakfast too. I would love to try the Mushroom and Spinach Egg Creations. It looks like an easy way to enjoy a great breakfast. Egg Creations sounds like a great way to make delicious breakfasts. My family would love the Spinach and Mushroom flavor. Breakfast is such an important meal. 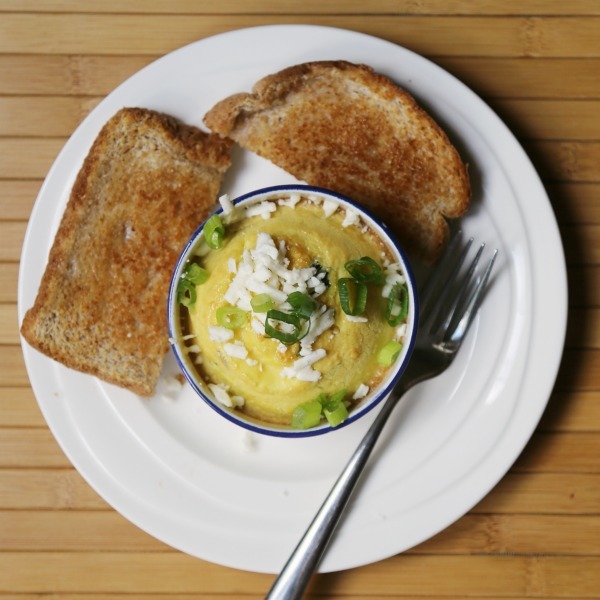 Egg Creations make breakfast so easy to make. I think it’s great that such a tasty breakfast can be so easy to make. Egg Creations sounds like a winner for busy mornings to me! These look like really delicious. Might just give the veggie and feta a try. Do you spray your ramekin? Thanks for sharing Julie. Love your recipes so much! Can’t wait to try them!! !